Renata Solan is originally from New Jersey but is proud to call Wisconsin her home. She loves to hear and tell stories about the infinite ways that people connect with each other and with their environments through food and gardens. 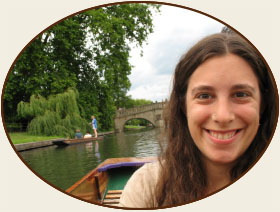 Renata spends her free time gardening, knitting, and exploring the state with her husband and daughter. Her favorite places include Pope Farm Conservancy in Verona and Wisconsin Concrete Park in Phillips.